In the past 10-15 years there has been increasing pressure on artists to operate like a business – Rhode Island School of Design ensures their graduates will know how to open an Etsy store, and many grants and foundations such as Creative Capital require artists to have a marketing strategy, budget outline and revenue streams. More artists than lawyers are currently graduating in this climate, and the result is a heavily saturated bad/non-art market.The mediocre, which have perhaps amazing marketing or social media skills, are being heralded as important by the equally large number of uninspired theorists/critics. While I haven’t been forced exactly to be an artist or business person, my life has brought me to art and business and back again: I am just curious enough to get myself into trouble, and just smart enough to know when to stop. While I believe in the mastery of things, and releasing oneself to your passion I have not yet been able to nail down which direction suits me best (business or art). 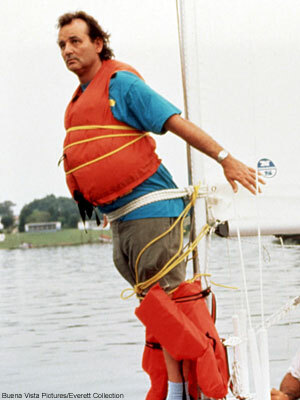 Let’s just say that my passion and reason for existing is creative thinking and making, though when I try to visualize myself as an Artist with a capital “A”, the story board looks more like me on a mast “sailing” like Bob in the movie “What about Bob – “I’m an artist now! I make art!!”. 7. Comfort is the enemy of the artist.